There are almost 500 businesses in the BID Leamington area. Over 65% of these are independent stores which, together with the major high street names, add to the rich and varied offering for our customers. As well as providing an excellent shopping experience, with around 60 bars and restaurants in the town centre alone, Royal Leamington Spa also benefits from a vibrant night time economy. For a list of all Levy Paying Businesses in the town centre please visit our Royal Leamington Spa website. Every levy paying business is listed on this site, with a short description. Please contact us if you cannot find your business on the website or wish to update your business information. 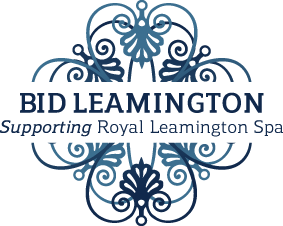 If you are thinking of starting a business in Royal Leamington Spa, we would be delighted to hear your ideas, advise you on suitable locations and share how BID Leamington can support your new venture. Please contact us to arrange a meeting or call us on 01926 470634. This innovative ‘team’ approach to retailing which is mutually beneficial and enhances the customer experience is something we want to support. Accordingly we are compiling a list of retailer contacts who like the sound of collaborating with each other, so please let us know if this sounds like you.